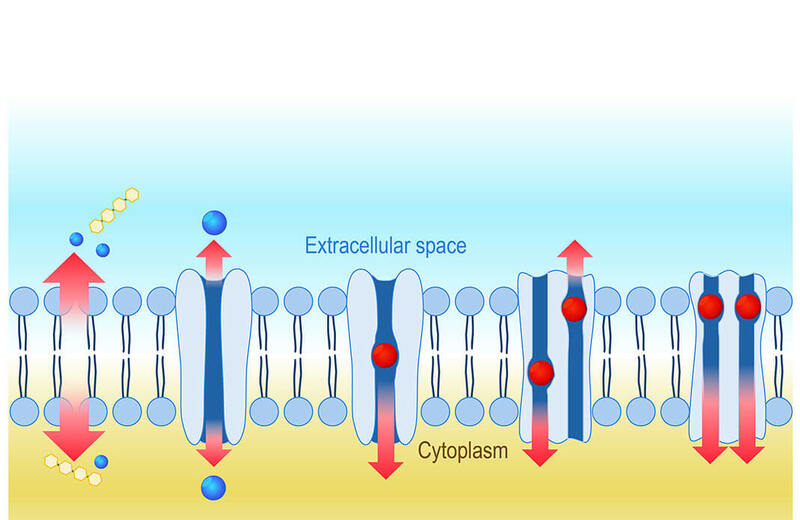 Unlocking the Secrets of a Protein “Superfamily"
Scientists are increasingly interested in understanding solute carrier proteins that shuttle molecules in and out of cell membranes and organelles, the “organs” or subunits within cells. Large families can be complex. And while you may know some of its members individually, you can’t really gain a true understanding of their relationships and dynamics without considering the group in its totality. Such is the case for solute carrier (SLC) transporters, a “superfamily” of some 400 proteins found in our cell membranes responsible for shuttling nutrients, neurotransmitters, medicines and other molecules in and out of cells. Despite their importance, they remain largely understudied by scientists. Not many researchers were looking across the gene family of solute carriers for commonalities and the big picture. To harness their untapped potential, 13 academic and industry partners, including Pfizer, have joined forces to collectively study and share information. Starting in July, the Research Empowerment on Solute Carriers (RESOLUTE) initiative brings together scientists from around the globe in an effort to accelerate research on this important class of transport proteins. Similarly, more than two decades ago researchers knew little about kinases, a class of proteins responsible for cell signaling. But, today, due to advances in research and knowledge, a variety of kinase-targeted therapies exist for autoimmune diseases and cancer. Researchers hope that by expanding the knowledge and understanding of solute transporters they may be able to unlock potential new drug targets. Some members of the solute carrier family have already received extensive attention. The neurotransmitters dopamine and serotonin are solute carriers targeted by antidepressant medications. And the solute carrier SGLT2, involved in sodium and glucose transport in the kidney, is the target of a diabetes medication. The goal of this research initiative is to provide the infrastructure for scientists to systematically study the entire protein family. But they’re particularly interested in the “orphans,” the term for the approximately 60 percent of proteins in the family for which scientists don’t know what role they play. Using cellular models, scientists intend to overexpress these proteins, encoding more than normal, and then use CRISPR/Cas9 to knock them out, to study the effect of its loss. “Basically, you’ll have a cell system where the transporter is functional or not, so we can understand better what it actually does,” says Steppan. This process may identify single, specific proteins that could have important functions. It could also identify segments of the protein family that have redundancies. “It’s possible if you knock out a single transporter, you might not have impact because another transporter performs that same function,” explains Steppan. That functional redundancy could in some cases, provide “insurance” that key cellular processes may continue even if not all the transporters that provide that function are present. Joining forces with six different companies and seven academic institutions to advance knowledge has been surprisingly organic, says Steppan. “We started with a problem statement and what we wanted to know and our roles have since naturally evolved,” she says. In some ways, the consortium represents a “knowledge gathering” exercise. The partners will systematically share and collect as much information as possible. Deciding how to act on this information will be the next challenge. “How are we are going to take this information and integrate it to be impactful?” says Steppan. “The key is going back and integrating this information with other research and scientific information we have such as GWAS studies in an effort to identify new therapeutic targets."